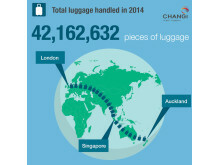 SINGAPORE, 29 January 2015 – Singapore Changi Airport managed 54.1 million passenger movements in 2014, the most in its 33-year history. This was a 0.7% increase compared to the whole of 2013. Cargo volumes were stable at 1.84 million tonnes while flight movements dipped 0.7% to 341,390 for the year. 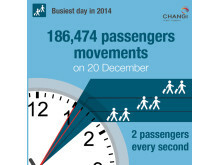 Changi Airport’s busiest day last year was the Saturday before Christmas (20 December 2014), with 186,500 passengers passing through during the 24 hours. The airport ended the year by handling a total of 5.09 million passenger movements (-0.7% on-year), 158,600 tonnes of cargo (+1.4%) as well as 29,710 landings and takeoffs (-3.9%) in the month of December. 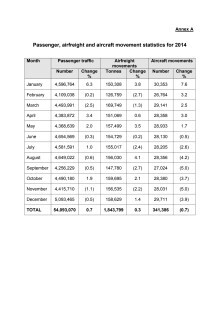 The monthly breakdown for passenger, airfreight and aircraft movements at Changi Airport in 2014 is in Annex A. 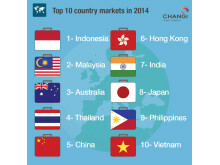 Travel to and from Thailand and China continued to show signs of recovery, registering a year-on-year increase of 6.6% and 1.0% respectively in December 2014, the third consecutive month of passenger traffic growth for both countries. In Thailand’s case, seat capacities and flight frequencies to Bangkok have also been restored to end-2013 levels, before travel to the country was impacted by the political situation. Despite overcapacity issues and depressed yields facing the aviation industry in the region, passenger traffic at Changi Airport grew, albeit at a more moderated rate compared to previous years. While traffic to the South Asia and Northeast Asia regions rose 6.0% and 4.0% respectively, this was offset by weaker performance on European and Southeast Asian routes. Accounting for more than 7.5 million passengers in 2014, Indonesia continued to be the airport’s top country market, followed by Malaysia, Australia, Thailand and China. 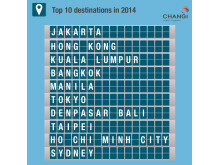 In terms of Changi’s busiest routes, the top 10 destinations remained unchanged with Jakarta, Hong Kong, Kuala Lumpur, Bangkok and Manila taking the top five spots (see Annex B). 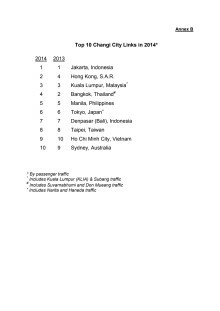 For the second year in a row, Denpasar-Bali was the fastest growing among the top 10 routes, enjoying a robust 15.7% growth on-year. 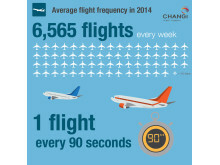 Changi Airport welcomed six new carriers in 2014. The arrival of MIAT Mongolian Airlines and Uzbekistan Airways enhanced Changi’s connectivity to Central Asia, with the launch of new services to Ulaanbaatar and Tashkent respectively. 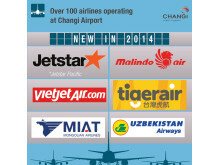 Jetstar Pacific, Malindo Air, Tigerair Taiwan and VietJet rounded up the list of new additions to Changi’s family of airlines. Besides the new links to Mongolia and Uzbekistan, Changi Airport also added new services to Lanzhou and Xi’an in China, Okinawa in Japan, Seattle in the United States and Phu Quoc in Vietnam, bringing the total number of new destinations in 2014 to seven. 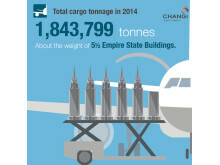 Changi Airport’s total cargo throughput for 2014 increased 0.3% compared to a year ago, as higher imports and exports offset lower transshipment volumes. Airfreight shipments between Singapore and Japan rose 7.5% on-year, boosted by the commencement of a new Okinawa-Singapore freighter service operated by ANA Cargo. Two of Singapore’s key trade partners – Australia and China – also exhibited positive growth of 5.7% and 1.3% respectively. During the year, Changi Airport also enhanced its reputation as a trusted transhipment hub for temperature-sensitive cargo when SATS Coolport received the world’s first ‘Centre of Excellence in Pharmaceutical Handling’ certification by IATA. Mr Lee Seow Hiang, Chief Executive Officer, Changi Airport Group (CAG) said, “2014 was a challenging year for the aviation industry, especially in Southeast Asia. Several unforeseen events depressed travel demand, creating a difficult operating environment for many airlines in the region. CAG responded quickly to the external situation, by introducing the Growth and Assistance Incentive (GAIN) programme to provide temporary cost relief for our airline partners as well as to encourage them to collaborate with us to explore new ideas to stimulate passenger traffic or boost operational efficiency at Changi Airport. “The spirit of innovation that has driven our development plans for Jewel Changi Airport and Terminal 4 will continue to underpin our strategy to anchor Changi Airport’s position as a world-class destination for all our passengers to enjoy. Changi Airport continued to be viewed favourably among travellers when it was voted the World’s Best Airport for the second consecutive year at the 2014 Skytrax World Airport Awards, an honour that Changi has now achieved five times. 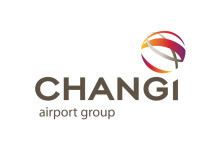 In total, Changi received 24 best airport awards during the year, including Business Traveller’s Best Airport in the World award for the 27th year running. 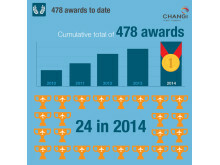 The full list of accolades received in 2014 is available at www.changiairport.com. In recognition of its excellence in route and network development, CAG was honoured by airline representatives with the Routes Airline Marketing Award in the ‘Over 50 million passengers’ category, at the 2014 World Routes Conference. 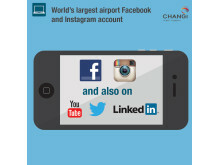 CAG was also recognised for ‘Best Overall Use of Social Media’ by Travel + Leisure Magazine and ‘Best Social Media Presence – Airport’ by Skift.com in 2014. Changi Airport is the world's sixth busiest airport for international traffic. 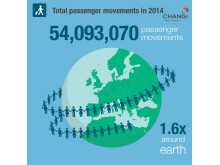 It served a record 54.1 million passengers from around the globe in 2014. More than 350 retail stores and 160 F&B outlets are situated across three terminals to cater to passengers and visitors. 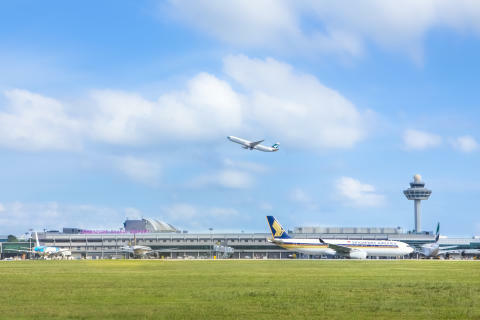 With over 100 airlines providing connectivity to 300 cities worldwide, Changi Airport handles about 6,600 flights every week, or about one every 90 seconds.